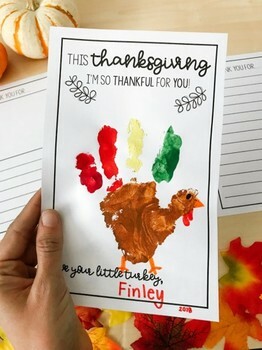 If you need a cute & memorable Thanksgiving craft you’ll love this free Turkey Handprint Craft with differentiated writing frames. 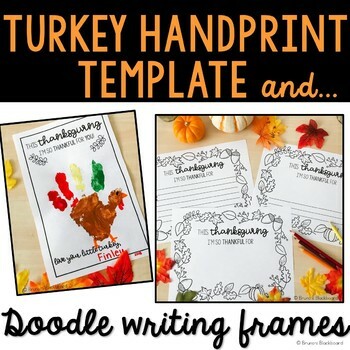 Including Thanksgiving doodle frames that can be used for drawing, handprints craft or writing. 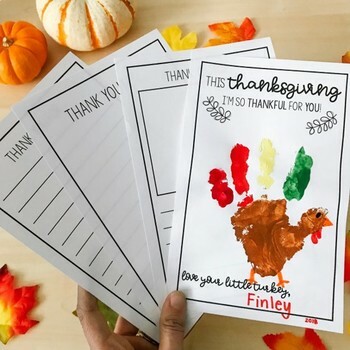 -Half sheet handprint frame with 3 back options: writing lines, writing lines & picture box, and picture only. 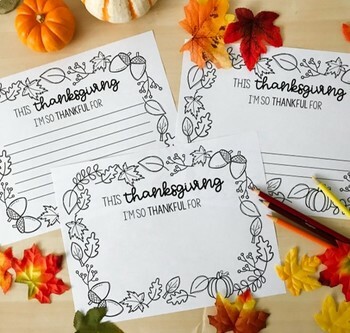 -Full sheet Thanksgiving doodle frames in 3 options: writing lines, writing lines & picture box, and picture only. • Please go to your My Purchases page (you may need to login). Beside each purchase you'll see a Provide Feedback button. Simply click it and you will be taken to a page where you can give a quick rating and leave a short comment for the product. Each time you give feedback, TPT gives you feedback credits that you use to lower the cost of your future purchases. I value your feedback greatly.